Some truths we have to accept. There are no unicorns, unless you count narwhals. Beans may not burn on the grill, but they incinerate when they fall to the charcoal below. And even though it sometimes *feels* like alcohol is love, it isn’t. 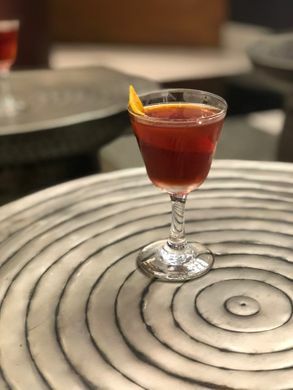 Even when it’s a warm, smoky cocktail of Papa’s Pilar rum, chicory liqueur and a simple syrup infused with raw cacao, clove and ginger. It’s close, of course, but it’s still not love — it’s Clove Actually.